Washington, D.C. (April 21, 2017) — The ALS Association in partnership with the Motor Neurone Disease Association and PatientsLikeMe are pleased to announce a partnership to update the ALS Online Genetics Database (ALSoD), the most long-standing, freely accessible ALS database in existence. ALSoD serves as an important, accurate information source of gene variations associated with ALS that is continuously updated. Together the organizations have committed $250,000 to complete the update. The Principal Investigator responsible for ALSoD is Ammar Al-Chalabi, Ph.D., FRCP, Professor of Neurology and Complex Disease Genetics at King’s College, London. 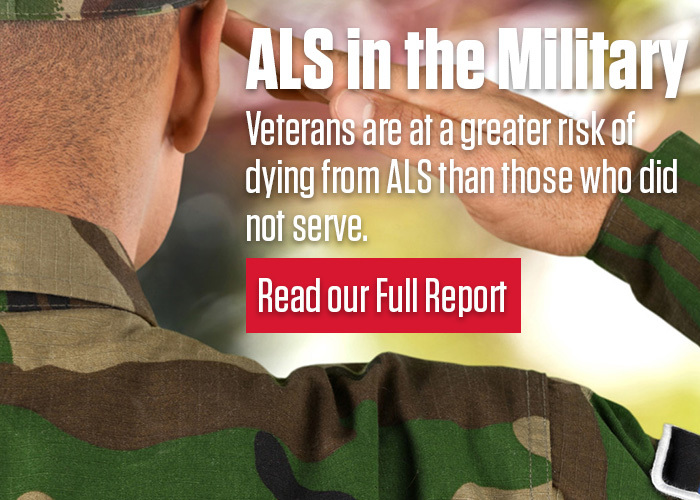 ALS is a progressive neurodegenerative disease that affects nerve cells in the brain and the spinal cord. Eventually, people with ALS lose the ability to initiate and control muscle movement, which leads to total paralysis and death, usually within two to five years of diagnosis. There is no cure. ALSoD contains a wealth of genetic information connected to the ALS community through its website. This includes up-to-date lists of genetic variations that link to information about the relevance to ALS of specific gene variations, and clinical features that occur in people carrying a specific gene mutation. Tools for the ALS community are featured, such as relevant resource links, tools for genetic analysis and information for genetic counselors. Importantly, a data sharing system is present to allow collaboration between researchers who need to access the results of published genetic studies. Genetics is advancing very rapidly. The number of new ALS genes is doubling every four years, and it is difficult even for specialists to keep up to date. Whole genome sequencing has become the norm, generating a large amount of information. Knowing how to access it and how to interpret it is becoming increasingly important. In response, ALSoD will be further developed and optimized to take the database into the next era of post-whole genome sequencing. The objective is to generate a central point from which a genetics query will return all ALS-relevant sequencing data, with additional information such as associated publications, functional results, genome-wide association data and bioinformatics tools. All information will be presented quickly and easily on this one website. "Patients and family members affected by the inherited form of ALS want to learn more about how their genes may impact their experience living with their condition,” said PatientsLikeMe Co-founder and Chairman Jamie Heywood. “Our support of the ALSoD database will help us work collaboratively to explore ways to provide context to patients with known mutations, and ensure that the data patients share can generate new knowledge for research and care support." The MND Association was founded in 1979 by a group of volunteers with experience of living with or caring for someone with MND. Since then, we have grown significantly, with an ever-increasing community of volunteers, supporters and staff, all sharing the same goal – to support people with MND and everyone who cares for them, both now and in the future. We are the only national charity in England, Wales and Northern Ireland focused on MND care, research and campaigning. We have a global research portfolio of £14 million. PatientsLikeMe, the world’s largest personalized health network, helps people find new options for treatments, connect with others, and take action to improve their outcomes. The company has worked with every major pharmaceutical company and a range of government organizations to bring the patient voice to research, development and public policy. With more than 500,000 members, PatientsLikeMe is a trusted source for real-world disease information and a clinically robust resource that has published more than 100 research studies. More information at https://www.patientslikeme.com/.